NTFL has the capability to handle large optical coatings. 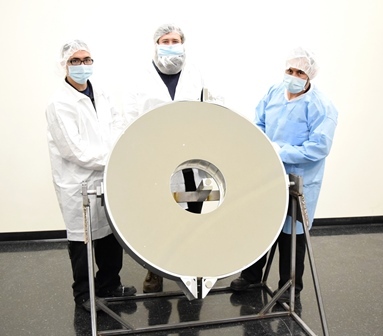 Our Large Optical engineering department has over 20 years of combined optics handling experience and our staff is on hand to customize standard offerings or to create custom thin film solutions to meet your large optics needs. We offer a wide variety of coatings from Anti-Reflection, Dielectric, Metal Mirrors, and Protective coatings to customer specifications. We can coat up to a 54” inch Diameter substrate.